Space Exercises for Astronauts « Adafruit Industries – Makers, hackers, artists, designers and engineers! 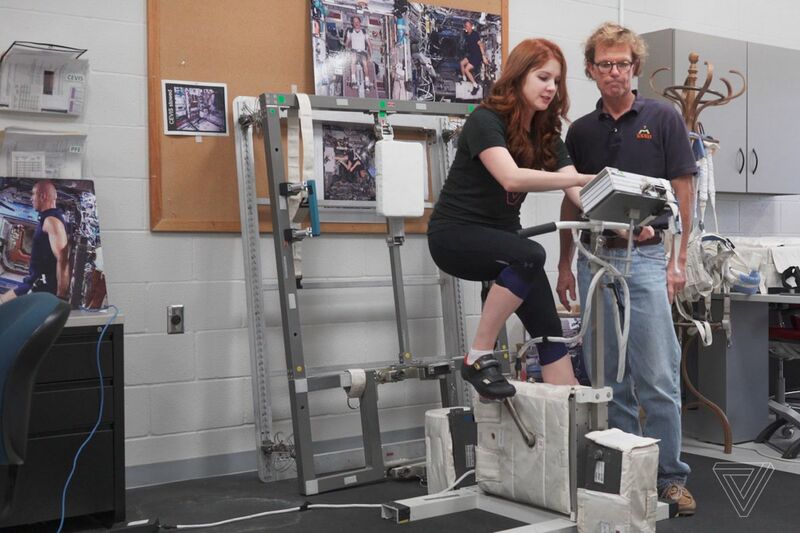 Thanks to microgravity, astronauts experience a variety of health and physical changes while living in space — some of which they can counteract through daily exercise and other activities. But the space environment also exposes astronauts to other elements that cannot necessarily be mitigated. Perhaps the biggest change astronauts experience is bone and muscle loss. Humans on Earth work out these systems every day, simply by moving and standing against gravity. But without gravity to work against, the bones lose mineral density and the muscles risk atrophying. It’s something astronauts are consistently trying to prevent from happening. “We try to minimize it as much as possible,” says Bob Tweedy, the countermeasures systems instructor at NASA’s Johnson Space Center. To do that, astronauts on the station work out six out of seven days a week for 2.5 hours each day. People also experience something call fluid shift in space. Without gravity pulling your bodily fluids downward, they shift up into the chest and head, causing issues with the circulatory system and even changes to vision.